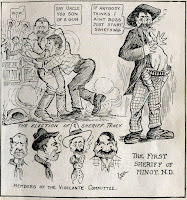 #2 – Up until 1885 the only form of government was a Vigilante Committee. 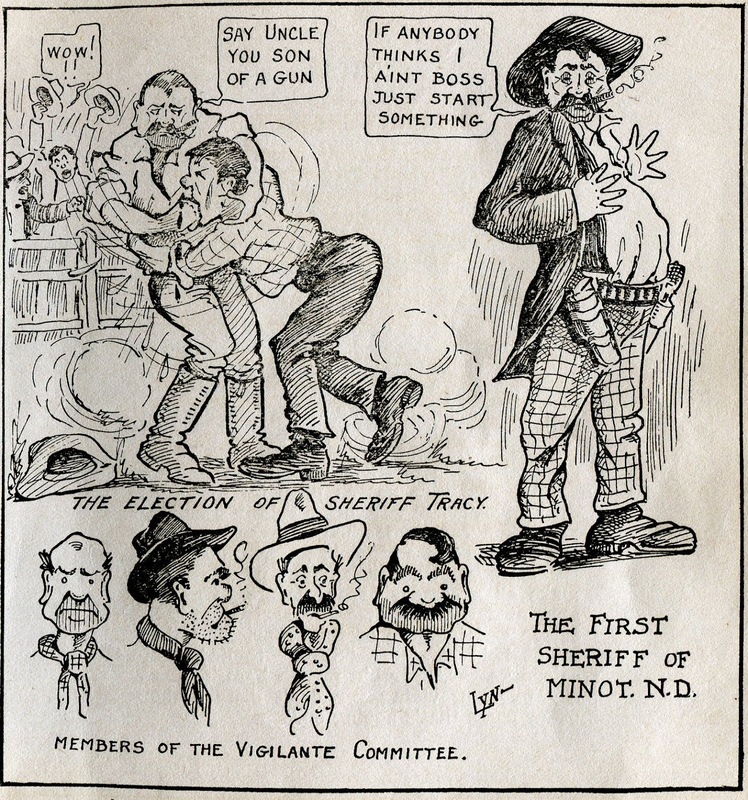 In 1885 the settlement began to assume some importance so they decided to elect a Sheriff to preserve law and order. That election took place in a barnyard at Burlington which wasthe county seat at that time. There were two applicants for the position. Amos Tracy was the favorite and elected unanimously. His competitor disputed the validity of the election on the grounds of miscount and even attempted to prove he was the better man by physical force. The case was taken to court, but by the time his charge was upheld, Tracey’s term had expired. 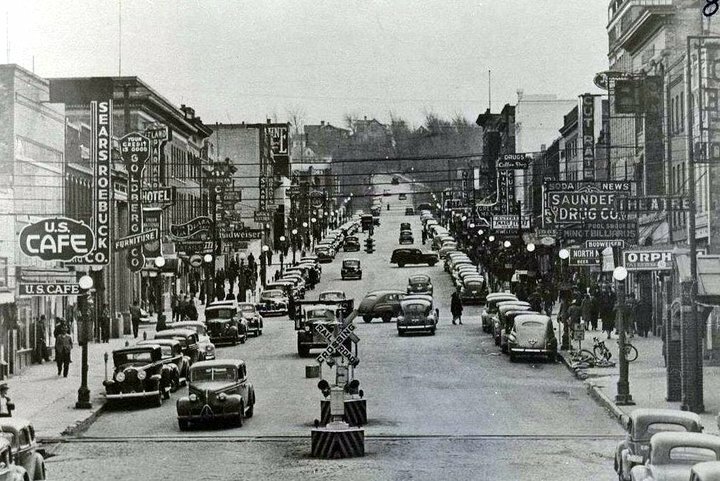 This was probably the first instance of political influence in Minot. While the sportsmen of 1915 had to be satisfied with Prairie Chickens and other small game, in the early days, deer, antelope and buffalo were plentiful and formed the chief source of fresh meat.